Here we are at the end of another year and I find myself wondering where the year has gone. Without doubt I have had a few family projects to focus on which have provided much pleasure and meaning. Obviously this has allowed less time for painting which during 2017 has been extremely limited. I have had a few attempts to complete projects but these have been lost to real life. However, I am really at the place that additional painting doesn’t provide too much additional benefit. More often I struggle to get my existing armies on the table. I’m sure some of you know the feeling! Of course, I have a few projects that I do intend to get on to. However, let’s not get carried away and start naming them here of course. While my painting has certainly been limited my gaming has not been. I am fortunate having almost always had one gaming evening per week, and often two. DBR remains a regular Tuesday evening activity with, most recently, a range of exotic armies taking the field including Sumatrans, my new East African Pagans and Maori seen below engaged against Swedes. DBA and Big Battle DBA have also feature on Tuesday evenings. Mostly these games have been between historical opponents, often a result of the Empire Campaign we have been running during the year. Interestingly DBA has provided the only competitions outings I’ve attended during the year. My Friday gaming slot has generally been allocated to Volley & Bayonet which continues to focus an the Napoleonic and American Civil War periods. The rules are without doubt one of my favourites. 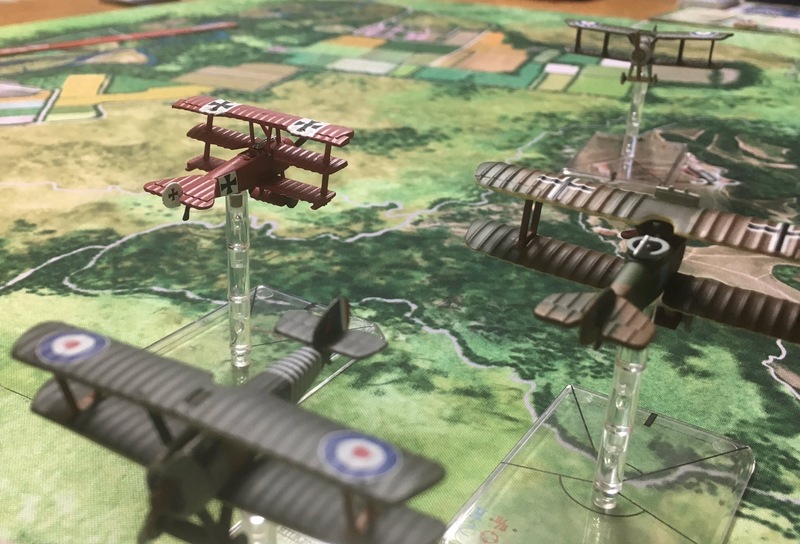 Periodically I deploy my Spearhead or Modern Spearhead armies on a Friday evening and while the number of such games has been fewer in the last couple of months, with opponents being busy, these are both great systems and the games providing much entertainment. Blogging wise I’m pleased with the general balance I’ve achieved. Postings here are less frequent and only cover a small sample of my gaming activities. However, I think provide a reasonable summary of events, especially when the other blogs that comprise my interests are considered. This site continues of course continue to be supported by Twitter where I try and post a couple of photos after a game. I’m sure the marketing department would have a different view on my posting success. With few comments I’m probably not engaging my audience that well, but then my audience is arguably not that numerous. After all 6mm and 15mm are not the current “in scales”. So where do I think 2018 will take me? This coming year I would like to play a couple of larger games of Volley & Bayonet, stretching over a full day or multiple evenings rather than our usual single evening slot. I would further like to organise a Spearhead weekend but that would require some out of town support and is probably more a stretch target. In the meantime I’ll make do with some games over next week and then return to some regular gaming slots as the year gets underway. In the meantime I hope you enjoy your own New Year and wish you and your families all the very best for 2018. With the end of 2016 almost here it seems an opportune time to reflect on my year of gaming. What’s been achieved, what hasn’t, and some general reflections. I’m not one for New Year resolutions but this year I intended to, and generally achieved, an increase in gaming activities. This meant a reduction of posts here as I focussed more on gaming and less on posting. All round this has been particularly pleasing change in focus. I’m of course fortunate to have so many good natured opponents which has made this an enjoyable gaming year. Indeed, most weeks I’ve managed two gaming evenings. Tuesday has become a regular event with one player who approaches gaming generally from the same perspective as I do. This regular gaming slot has found us playing all manner of rule systems. DBA, BBDBA, DBR and Wings of War are regularly seen as the fit well into the available time. 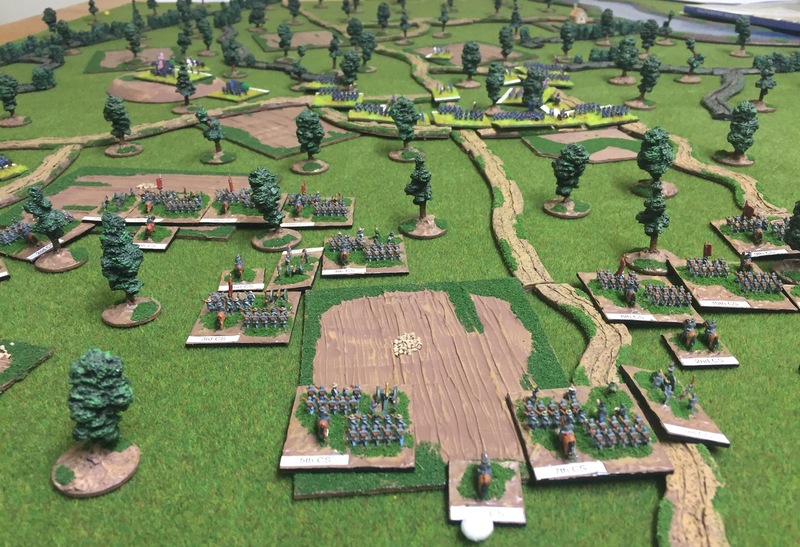 Each tends to go in phases with 300 point English Civil War encounters being the current phase. 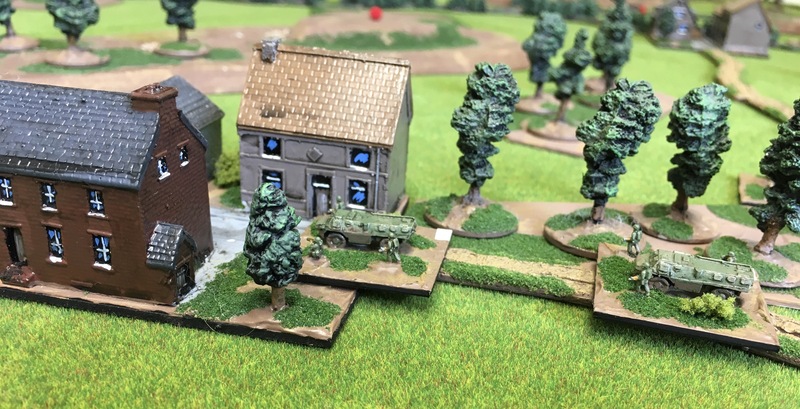 Friday evening slots allow greater time for games and generally allow Volley & Bayonet encounters, occasionally supplemented with Spearhead or Modern Spearhead. Larger multiplayer Sails of Glory or Wings of Glory games feature when we are suffering from the impact of a busy work week. A larger group of players attend these events but organising these sessions can be a bit more hit and miss with many opponents travelling or suffering work commitments. My attendance at wargaming conventions has been lower than I had hoped with only one out of town event and that being in Australia back in January. It seems a distant memory now. This was supplemented by DBA at Conquest here in Christchurch, which was pleasingly well supported by out of town players. Yet there remains somewhat a hole in my convention gaming. I recall the many excellent Spearhead and Modern Spearhead events in Wellington in years past. It’s such a shame these are no longer organised. What I haven’t achieved in the year is much progress with miniatures painting. A couple of small projects have been completed but in general the existing projects have languished yet again. Perhaps I need to add this to the list of aims for this year. For example I really need to complete my WWII Soviets for Spearhead, while progressing some long overdue expansion of other armies. Then there is a new 6mm Volley & Bayonet army that has been on my mind for a few years. Not to mention a large batch of 6mm Spanish I was gifted a few years ago. Goodness, the painting projects almost seem overwhelming! As an amateur historian of the horse and musket era I often read various histories of the great commanders and their defining battles. In doing so I find myself pondering the issues of command and the variable “moments” that define the various key items that mark a significant battle. Currently I am reading Gordon Rhea’s excellent book “The Battle of the Wilderness”. As I read I often pause and ponder the critical moments that defined the battle. For example, what if Meade had pressed earlier his attack at Saunders Field? What could have occurred if Getty was delayed on the Brock Road? As a wargamer I am challenged to refight these battles out on the table. I find it fascinating the degree that such games assist me in understanding the terrain, the period and the challenges of warfare in the period. Sometimes the decisions on the table result in the historical course of the action being followed, yet others see alternate outcomes develop. This time last week I was fortunate to refight the Battle of Shiloh, a photo of which is shown below. This refight provided, as I expected, a fascinating evenings game as well as an ability to explore some interesting historical alternatives. Since the refighting Shiloh I have been considering the aspects of Volley and Bayonet that hold particular appeal. Firstly, as mentioned previously I’m interested in refighting large battles, rather than regimental actions. Given that each stand in Volley & Bayonet represents 1500 to 3000 men large battles are clearly possible. Then of course the level of the rules ensure that the games focus on the big picture, after all each turn represents an hour. The fact that with the same general rules, modified by period specific changes, I can refight battles from the Seven Years War to American Civil War as a significant advantage. Yet each period has a totally different feel. Unlike many I’m not focussed on a particular figure scale. So while my Horse & Musket miniatures are all 6mm I’m just as happy to use Volley & Bayonet with miniatures ranging in height from 2mm to 25mm. Each scale has its advantages and while I enjoy the visuals of 6mm other scales can be equally excellent. Take for example this refight of Hastenbeck refought with Volley & Bayonet and 30mm flats which can be found here. I have of course rambled somewhat in this evening’s post. However, I would ask a couple of questions. Firstly, do you enjoy refighting historical actions, or do you prefer fictional encounters? If you enjoy refights which aspects do you find of particular interest? Having been under the weather for a few days I found myself today listening to a podcast by Sam Mustafa regarding his new Naploeonic rules “Blucher”. Now while I have no intention of purchasing the rules, being very happy with Volley & Bayonet, his podcast touched on what I thought was a very interesting point. Specifically, he noted that in recent years there has been a significant increase in smaller games, often skirmish games, requiring both less time to build armies as well as less time to play. Effectively, these provide a lower cost of entry. It is an interesting observation and one I had noticed myself. I had considered this trend towards skirmish games would pass, but Mr Mustafa suggested that it was more a result of a wealthier but time poor society. He made note of the considerable undertaking required to both paint and assemble armies before they can be deployed and the impact the obstacle this creates for new gamers. An interesting thought and on reflection, one I can understand. 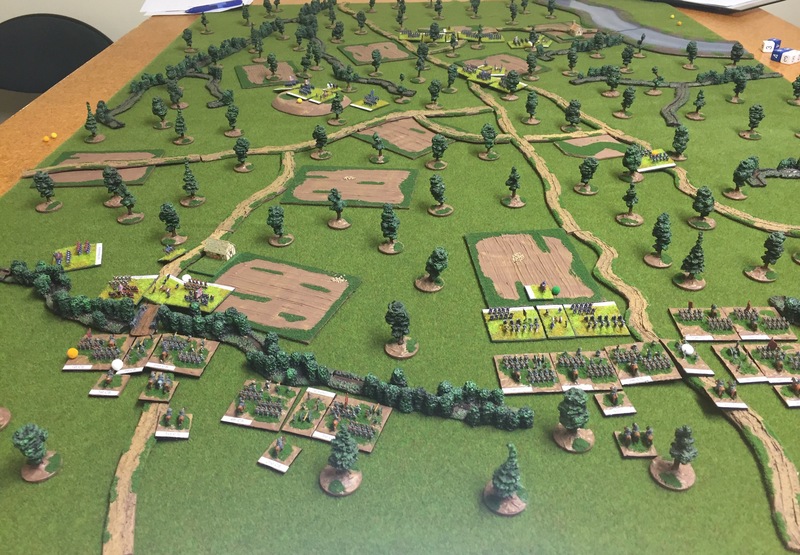 When I visit local wargames clubs or conventions I can not but notice the decreasing numbers of young players playing large historical game systems, especially those playing Ancient or Napoleonic systems. Instead I see an increasingly ageing player base playing ever fewer large games. Interestingly many of these older “traditional” players are so caught up in their rules system they only speak of the excellence of their rules, their large armies, or the one true scale and take little interest in anything else. As an example I heard the story of one player who recently moved towns and while having his own small 15mm Ancients collection was told that at this club “We only play rules XYZ and in 28mm”. I suppose that is one of the reasons I do hope that the latest version of De Bellis Antiquitatis with its revised, expanded and more accessible format, is successful. 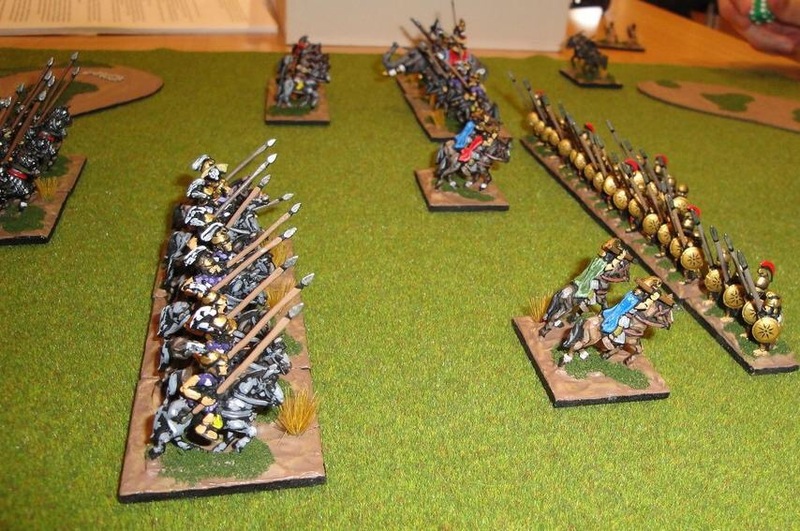 DBA has a low cost entry point, especially in the area of time required to paint an army. It should therefore have much appeal to the new players. Combined with a reduced learning and game length it has the ability to open ancient wargaming to a greater number of new players. Certainly I’ve seen this myself in a number of new players that I have introduced to DBA in the past. I’m not suggesting that DBA is the final point in Ancient wargaming. However, I do think it has, and will in the future, open Ancient & Medieval Wargaming to a new generation. That must be a good thing, or is that just me?